Writing inspiration: Why do you write like you're running out of time? 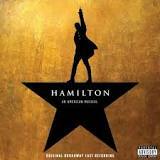 Hamilton was an exuberant genius who performed at a fiendish pace and must have produced the maximum number of words that a human being can scratch out in forty-nine years. --Ron Chernow, Alexander Hamilton, p. 5. 1. I am and have been for some time a huge fan of Ron Chernow, having read his Washington biography, all 35+ hours of it. I have Nancy Isenberg's Fallen Founder but haven't read it yet. These are for fun reading (not related to work) and there hasn't been a lot of time recently to do any. 2. At one point in my life, probably the mid-century males portion of it, I read and reread obsessively Gore Vidal's Burr and, to a lesser extent, 1876. Burr was the best piece of fiction that Vidal ever wrote, at least that I read: Washington, D. C., the supposed third volume in the trilogy, although it had been written much earlier, was too louche and decadent, and the other American historical novels (Lincoln, Empire) relied too heavily on a few stylistic tricks. Vidal was much better as an essayist. But Burr was exceptional in Vidal's canon, maybe because the acerbic wit that Vidal brought to it seemed temperamentally suited to discussing Burr. So, knowing that Chernow had written Washington, I downloaded his bio Alexander Hamilton and got about halfway through it when I started hearing about a musical based on it. I bought the soundtrack and am now obsessed with it. Quite apart from the amazing lyrics, though, it's a great piece of writing inspiration for the story it tells. Hamilton writes his way out of the West Indies, writes as Washington's "right-hand man," writes 51 (or so) of The Federalist Papers, which I think I last had to read some of in high school, and writes writes writes for the rest of his life. One thing that struck me forcefully this time: Burr was 48 at the time of the duel and Hamilton was 49 (if you accept Chernow's date of 1755 for his birth). Middle-aged. Old enough to know better, which makes the whole thing more sad, somehow. But still, an inspiration to writers. Reason for blog absence: travel and conferences and more travel and more conferences. Paid for by the department or frequent flyer miles and savings? What do you think? Did I just fall asleep in my chair a minute ago? Yes, indeed. If I stretch out on the floor for 20 minutes, does that count as a nap (which I'm forbidding myself) or as, um, "yoga"? Yoga it is! The hardest part is giving up the momentum I had on Thing One and Thing Two, which I was working on like a demon before having to quit and get ready for the conferences. Using the old rule--all right, my old rule--of having to spend at least one hour of wasting time and avoidance for each day you're away from the project, I think I'm ready to get started again. About the election: I used to think I was watching Berzelius T. Windrip (legally available here if you're in Australia), but now I think I am watching Dusty Rhodes, which is Andy Griffith at his most folksy and most terrifying. But wait till Windrip shows us how to say it with machine guns! . . . On the whole, with scandalous exceptions, Democracy's given the ordinary worker more dignity than he ever had. That may be menaced now by Windrip--all the Windrips. All right! Maybe we'll have to fight paternal dictatorship with a little sound patricide--fight machine guns with machine guns. Wait till Buzz takes charge of us. A real Fascist dictatorship!" "Nonsense! Nonsense!" snorted Tasbrough. "That couldn't happen here in America, not possibly! We're a country of freemen." "The answer to that," suggested Doremus Jessup, "if Mr. Falck will forgive me, is 'the hell it can't!' Why, there's no country in the world that can get more hysterical--yes, or more obsequious!--than America. Look how Huey Long became absolute monarch over Louisiana, and how the Right Honorable Mr. Senator Berzelius Windrip owns his State. Listen to Bishop Prang and Father Coughlin on the radio--divine oracles, to millions. Comment: Listen to AM radio, as I do during the long distances. Hasn't changed. Remember how casually most Americans have accepted Tammany grafting and Chicago gangs and the crookedness of so many of President Harding's appointees? Could Hitler's bunch, or Windrip's, be worse? Remember the Kuklux Klan? Remember our war hysteria, when we called sauerkraut 'Liberty cabbage' and somebody actually proposed calling German measles 'Liberty measles'? And wartime censorship of honest papers? Bad as Russia! Remember our kissing the--well, the feet of Billy Sunday, the million-dollar evangelist, and of Aimée McPherson, who swam from the Pacific Ocean clear into the Arizona desert and got away with it? Comment: Check out the link for a recent endorsement. Remember Voliva and Mother Eddy? . . . Remember our Red scares and our Catholic scares, when all well-informed people knew that the O.G.P.U. were hiding out in Oskaloosa, and the Republicans campaigning against Al Smith told the Carolina mountaineers that if Al won the Pope would illegitimatize their children? Comment: Contemporary equivalents--we have them. Remember Tom Heflin and Tom Dixon? Remember when the hick legislators in certain states, in obedience to William Jennings Bryan, who learned his biology from his pious old grandma, set up shop as scientific experts and made the whole world laugh itself sick by forbidding the teaching of evolution? Comment: Still happening and still here.
. . . Remember the Kentucky night-riders? Remember how trainloads of people have gone to enjoy lynchings? Not happen here? Prohibition--shooting down people just because they might be transporting liquor--no, that couldn't happen in America! Why, where in all history has there ever been a people so ripe for a dictatorship as ours! We're ready to start on a Children's Crusade--only of adults--right now, and the Right Reverend Abbots Windrip and Prang are all ready to lead it!" Nother words, have a doctor who won't take any back-chat, but really boss the patient and make him get well whether he likes it or not!"